Are you interested in your health and wellness? Are you 50+ and want to connect with others? 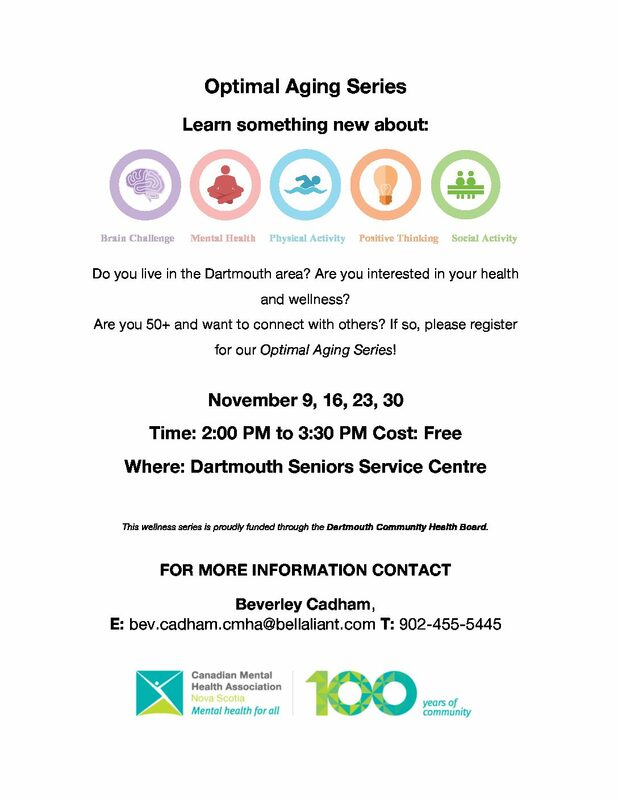 If so, please register for Optimal Aging Series happening at the Dartmouth Seniors Services Centre.